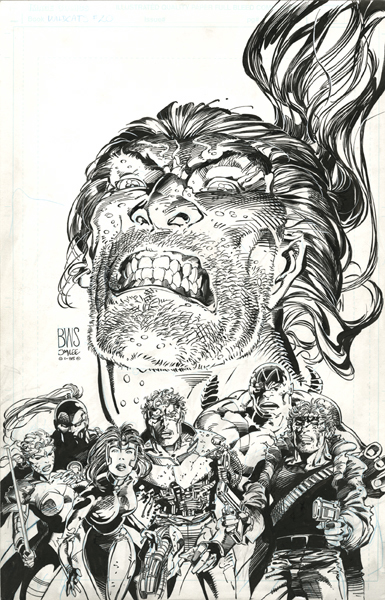 this is the only one inked by Image founder and WildC.A.T.S. Features all the WildC.A.T.S., and the villain Hightower. Pen and Ink on 11″ x 17″ bristol board.